The protestors were there in George Square, Glasgow to hear the Lord Provost’s reply to a workers’ request for a 40-hour week. At that time they were working 57-hour weeks. However, while workers’ representatives met the authorities, violence sparked outside. The police mounted a vicious and unprovoked attack on demonstrators, hitting unarmed menand women with their batons. The demonstrators retaliated and forced the police into a retreat. 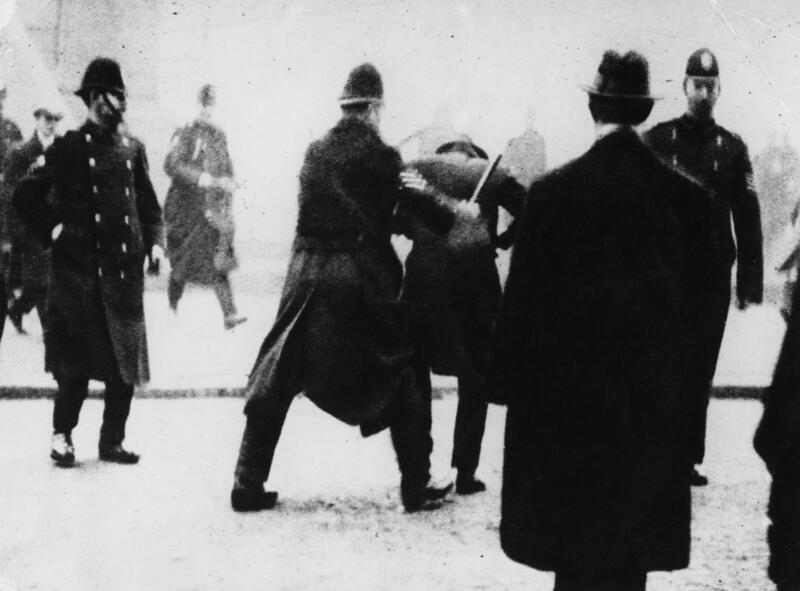 The strike leaders rushed outside to restore order but some were arrested. 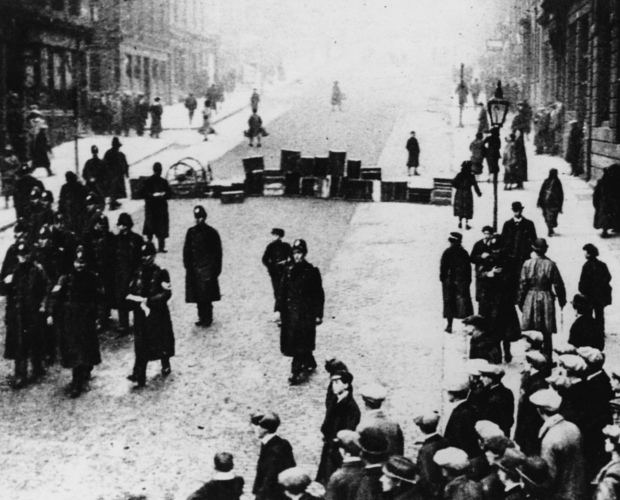 Fighting continued in and around the city centre for hours, with running battles between police and demonstrators. The incident heightened post-Russian revolution fears of industrial militancy and revolutionary political activity. 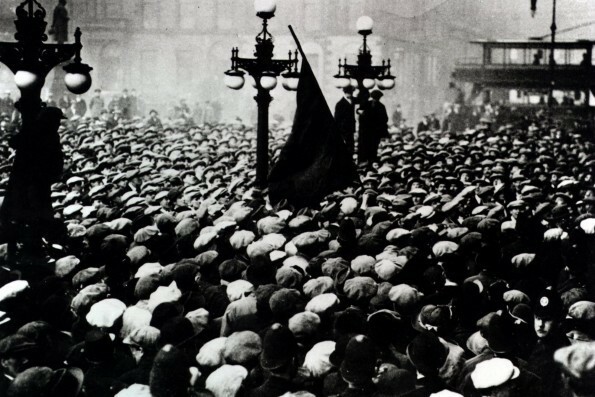 The skittish Liberal Government, fearing a British Bolshevik revolution, sent an estimated 10,000 English troops to Glasgow accompanied by tanks to quell the situation. Machine gun nests were established in the City Chambers, their weapons trained on George Square. Winston Churchill – then Secretary of State for War – was said to have made the decision to send in the army. No Scottish soldiers were deployed, as the Government feared some might go over to the workers’ side. The strike ended on February 10. Although the workers didn’t achieve their aim of a 40-hour working week, they did secure an agreement that reduced their week by 10 hours.